George Hale obituary. Carnes Funeral Home. Aug 7, 2014 We miss you, dear friend. George Hale was born in Clarksdale, Mississippi on March 29th, 1931 to parents, Lillie B. Hurley and Napoleon Hale. He passed away on Saturday, July 26th, 2014 in Tomball, Texas at the age of eighty-three. He is preceded in death by his loving wife, Barbara Ann Hale and grand-daughter, Brittanye M. Hale. 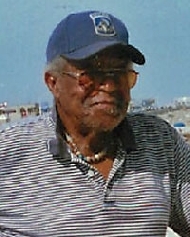 George is survived by his daughters, Karen Benita Hale-McGill and husband Darren of Greensboro, North Carolina and Dorothy Stewart of The Woodlands, Texas; son, Kevin Allred of Magnolia, Texas; grandchildren, Jazmyne R. Hale, Valerie Hunter, Patrick Allred, Kelley Vazan and Abigail Hoover; great grandchildren, Allissa and Christian Vazan, and Kyleigh Hoover. George was a devoted serviceman in the Korean and Vietnam Wars. He served his country and retired from the United States Army. He loved to fish and cook. George was a patient man and had a caring and loving heart. He will be dearly missed by all.